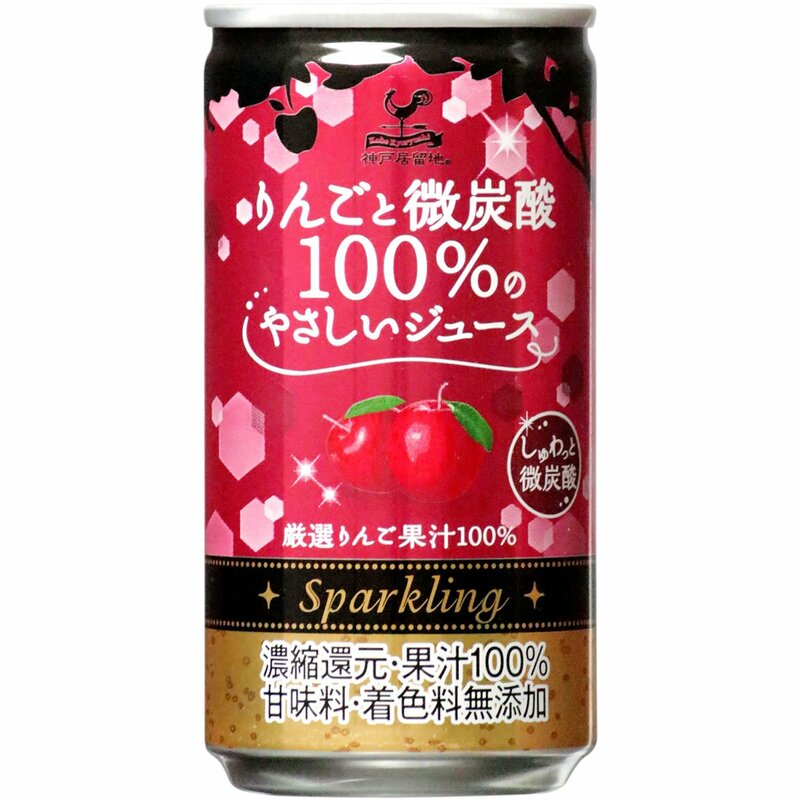 This is a really delicious Kobe apple sparkling juice. 100% apple and 100% flavor! A very limited edition Strawberry chocolate from Lotte with 3 kinds of chocolate interwoven with delicious strawberries! This is one you won’t be able to stop munching! 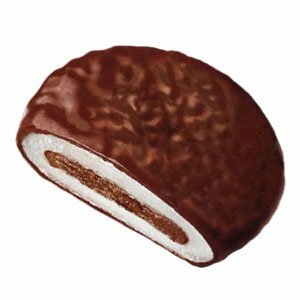 Crunchy pieces of the always popular peanut based snack in a spicy version wrapped in chocolate. These are sooo good! 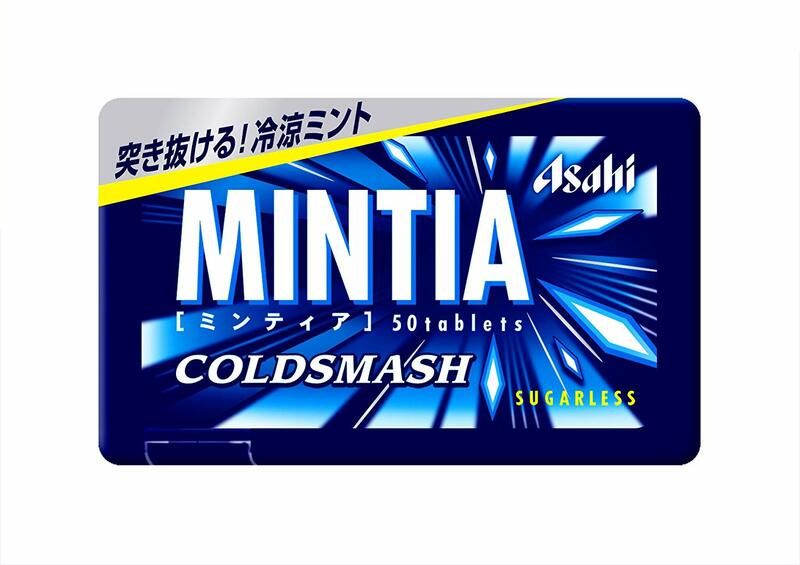 This range of mints is some of the most popualr in Japan. This version the sugarless Coldsmash is particularly popular for that minty rush! 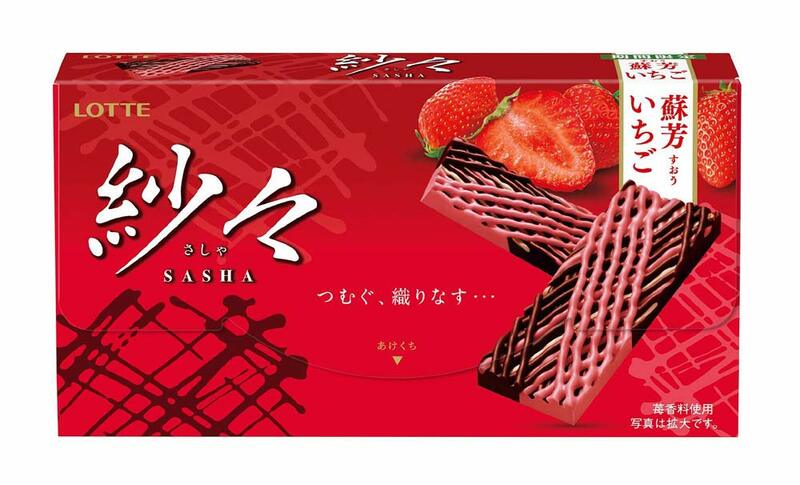 One of Japan’s Oldest sweets – Juicy C from Kabaya has been in production for over 50 years! 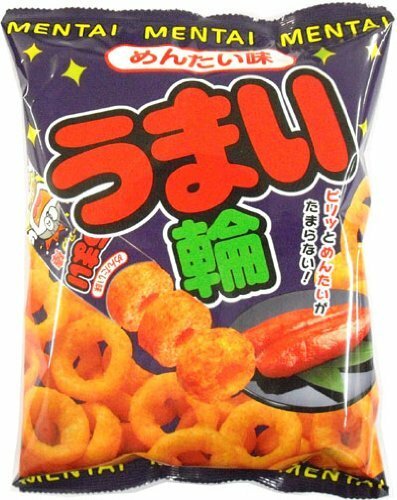 Japan’s take on french fries as a kids snack! 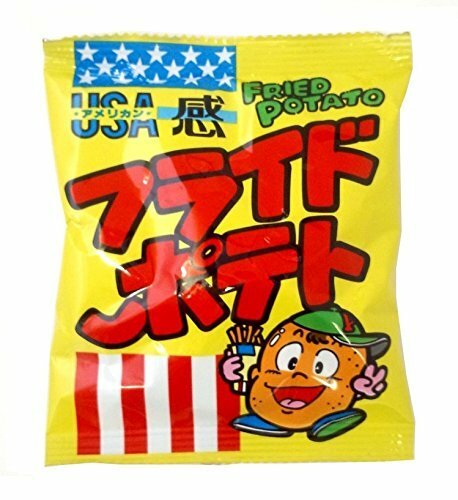 See what Japan thinks American french fries taste like! The classic corn snack in a large packet pre-cut. 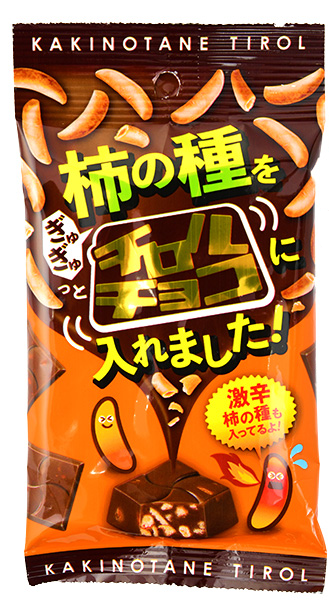 This version is flavored with Mentaiko (Pollock roe pickled in various spicy ingredients) Truly a Japanese snack! 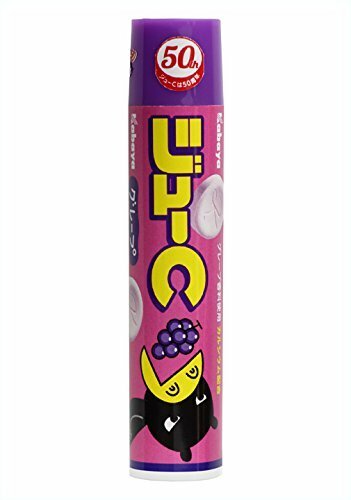 Classic babystar snack in Yakisoba flavor. Hard to stop eating delicious flavor of fried noodles and soy sauce! 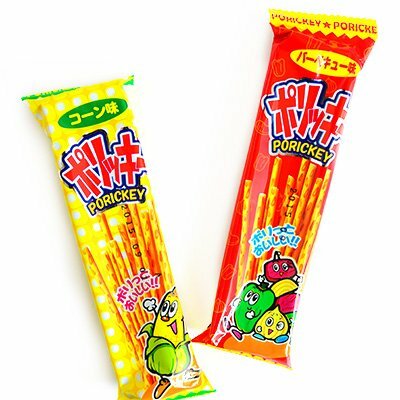 Similar to Pocky this is a local Okinawan snack. Random choice of corn or BBQ in every box! 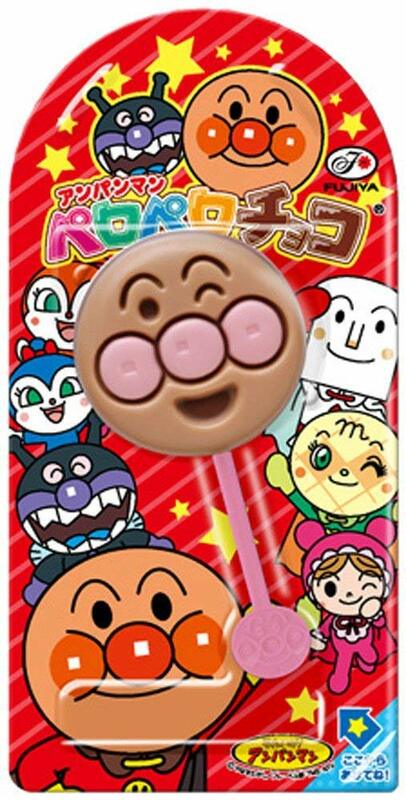 Anpanman chocolate candy stick! Comes in five different character designs. Which will you get?